XPB Lockers solves spatial needs through a combination of locker and storage unit configurations that fit within the infrastructure and programming parameters intended for 21st Century businesses. With rising fuel costs and the state of the global economy the need to articulate better balanced corporate budgets is no longer the goal, but the requirement. The need for better and more optimal use of space that equates to profits is essential for companies to prosper. Our lockers and storage units are designed to address these issues. Companies facing eroding profits no longer target their old objectives, but look for new and more efficient economic ways to exist in today's aggressive business pace. While manufacturers continue to rise in other countries, the United States continues to lead the way in production and conforms to the stringent standards of doing business making it more affordable for commerce. Equipment installation for our variety of product lines, including lockers and plastic storage units, and code compliance is foremost to both the private and commercial consumer. To retrofit or install in a home or commercial business, qualified professionals offer trained expertise to affect a project no matter how simple or a major the task. Pre-assembled products are also available in our product lines and installation within the continental U.S. can also be secured through XPB Lockers. As you review our selection of industrial metal lockers and recycled and plastic storage units, keep in mind stackable storage lockers and niche products like the modular lockers can quickly convert unused and ineffective areas into efficient and productive use of space. Are you considering new technology to replace unsafe and outdated equipment, or updating equipment with new technology? We are strong advocates in protecting our planet and offer industry approved “green” recycled products when available. Complete your business plan by consulting a professional XPB Lockers Supply representative to complete your project with confidence and peace of mind. Let XPB Locker’s help you! 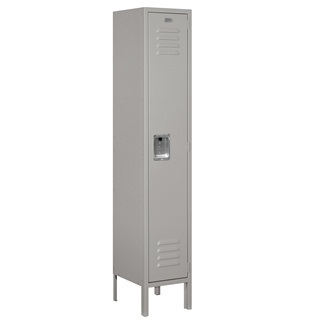 XPB Lockers carries a wide variety of commercial mailboxes, lockers, outdoor furniture, commercial lavatories, and commercial signage and bleachers systems with professional affiliates to help with installation where available. If you cannot find what you are looking for, please call us toll free at 1-877-483-9270 and we will be pleased to help find it for you. Our home office is located in New Braunfels, Texas with warehouses located throughout the United States that enable us to service all 50 states including New York NY, Los Angeles CA, Miami FL, Chicago IL, Denver Co, El Paso TX, Dallas TX, San Antonio TX, Austin TX, Houston, Texas, Boise ID, Atlanta, GA, Detroit MI, Raleigh-Durham NC, Washington DC, Albuquerque NM, Huntsville AL, Fayetteville AR, Norfolk VA, Madison WI. Serious soccer players need soccer lockers that will allow them to organize their uniforms and equipment. Check our discount prices. Plastic storage lockers are far more suitable for water park design than metal lockers.Come check our low prices. We offer gym and spa storage lockers at low factory direct pricing. Storage lockers are smart investment for architects to make when designing an employee break room in any type of building. Weoffer discount pricing. Open access mudroom lockers can be purchased with multiple storage units, or they can be purchased as single user designer units for special project needs. In both model designs, the configuration of the storage area features a three compartment design. A wide range of organizations use mobile wire shelving for storage. Included in the many clients that XPB Locker routinely assists are hospitals, retailers, food services industries, cafes, offices, warehouses, and professional garages. 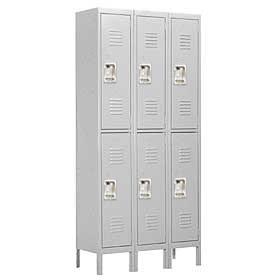 We offer Sports Lockers at factory discount pricing. 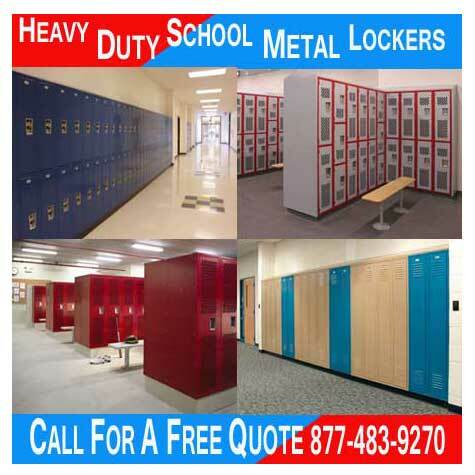 School Lockers are offered in numerous sizes, configurations, materials, colors, and styles. Come check our prices. Our Solid Wood Open Access Sports Lockers offer a timeless and classic wood appearance that gives comfort to people. These lockers are frequently called athletic lockers. Come see our discount pricing. Wire Mesh Storage Lockers are the ideal solution for the storage of bulk items. We offer factory direct pricing. 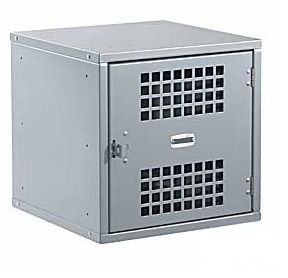 We Offer Steel Wire Security Cage Lockers at dealer discount prices. Coin Operated Return Locks and Coin Retain Locks are several of the latest innovations used to increase customer usage of temporary storage lockers in a variety of industries. Steel Modular Lockers with Glass Window are unique and versatile lockers for many applications.We offer dealer discounts. 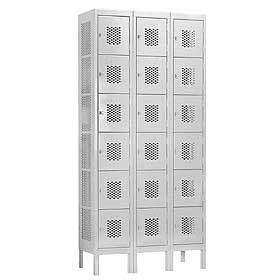 We Offer Two Tier Vented Wide Lockers Double Tier Metal Locker Room Lockers at factory discount prices. Our Cubby Lockers are made of a solid plastic known as high-density polyethylene (HDPE). Much of the plastic is recycled and therefore helps with the world’s “green” efforts and are ADA compliant. Check Our Prices Today.